What if I told you that the best things come to those who wait? That when you can’t improve on perfection, you must strive to replicate it? That sometimes, how you start means as much as how you finish? 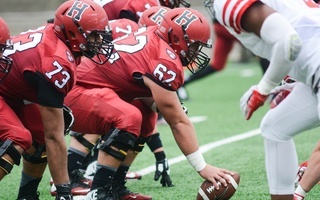 The truth is, though, Harvard football is on the verge of something special. Maybe not documentary-level special, but impressive indeed. A win on Saturday will give the Crimson its third consecutive Ivy League title. 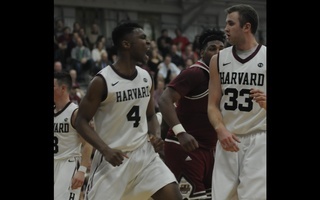 Follow that up with a victory over Yale a week later, and Harvard will notch its second consecutive perfect season. That hasn’t happened in Cambridge since before World War I. As you may recall, dear reader, at this point I am wont to throw in a movie reference or two to spice up my narrative. The problem is, movies need drama. The best ones feature suspense and uncertainty throughout. To be sure, Harvard fans have watched two close games this season: a last-minute victory over Dartmouth and a tighter-than-expected tilt with Columbia last week. But for the most part, the Crimson has been so dominant that this year that its movie script would be rejected on account of being too dull and predictable. 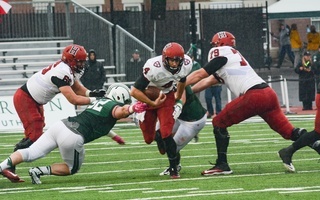 Take away Dartmouth, and Harvard has trailed for 17 seconds in seven games. The Crimson is like the Beatles in their prime. It keeps churning out hits, apparently unable to be stopped. Saturday afternoon is Senior Day at Harvard Stadium. 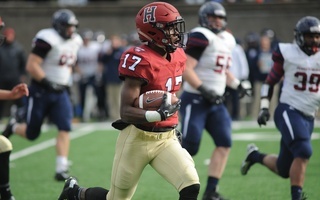 If wins and losses are any measure, the more playing time this year’s senior class gets, the better Harvard football becomes. 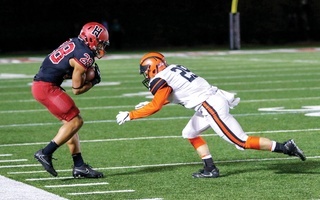 In 2012, a two-loss record put the team one win away from an Ivy co-championship. The class’s first Ancient Eight title came one year later, with a lone defeat coming in triple-overtime. Its junior season, the Crimson went undefeated and outlasted Yale to capture the championship. Two more W’s this year, and these seniors will pull off the same feat. If there’s nothing to improve on, why not do the same thing again? Just 120 minutes of play stand between Harvard football and doing just that. The Brown Daily Herald blog recently featured a post entitled “Memorable Uber Experiences.” I have to say, there’s some good material there. But if you’re seeking a memorable football game, look elsewhere. After rattling off four wins, the Bears have dropped their last two contests by significant margins. One-loss Dartmouth, meanwhile, needs a victory here to keep its hopes for an Ivy League title alive. Expect Big Green senior leaders quarterback Dalyn Williams and linebacker Will McNamara to keep the green-and-white focused in the final road game of their careers. What a treat we have for you. Last year, FiveThirtyEight labeled this matchup the “worst college football game in the worst college football town.” The good news: Columbia has made noticeable strides since last year. In addition to winning two games, the Lions only lost by eight points to Harvard last week. Moral victories be damned, that’s still an impressive showing, given the Crimson outscored Columbia, 148-0, from 2012 to 2014. The bad news (or funny news, depending on your perspective) is that Cornell may actually be worse than last year. The Big Red offense and defense rank last and second-to-last, respectively, in the Ancient Eight. Half of Cornell’s fans may attend games to see the team’s punter, who is the best in the conference. Maybe it’s because he gets a lot of practice.